Please watch this short excerpt from a conversation between my main man in the house Veedu Vidz and Shaykh Shabbir Ally. Veedu Vidz is one of Hindustan’s brightest sons, hottest heart throbs, most talented thesbians, funniest comedians, most enlightened leaders, wisest Islamic theologians and Brown Pundit favorites. He now lives in the UK with his beautiful wife and youtube sensation Mimzy Vidz. Shaykh Shabbir Ally is also one of Hindustan’s greatest lights. He is one of the world’s leading Murdhids or Islamic scholars. Blasphemy and apostasy laws (such as those that require the recitation of pbuh after the name of the holy prophet, or don’t allow visual depictions of the holy prophet pbuh) are unislamic and should be ended. The holy Koran is consistent with freedom of religion, art, thought and speech. Mohammed pbuh use to follow Jewish law in absence of specific divine guidance since Mohammed pbuh considered Jewish law to be divinely ordained and better than nothing. Many of the Hadiths show Mohammed pbuh following Jewish law and can be discarded. Mohammed pbuh probably stopped stoning adulterers when the Koran revealed that the punishment for adulterers should be different [and in AnAn’s opinion lighter]. Many Islamist interpretations of the Islamic Shariah jurisprudence are not based on the holy Koran and can be discarded. I 100% agree with the wise Shaykh about all of this. All global hate speech laws, demonetization of videos, or removal of videos regarding Islam should be ended immediately. All discussion of Islam and criticism of Islam should be allowed. The nonsensical phrase “Islamaphobia” needs to be retired. Muslims are mature enough not to be offended and engage in respectful dialogue. Muslims don’t need to be condescendingly pretentiously patronizingly infantalized or “protected”. Every muslim in the world is entitled to freedom of art, thought, intuition and feeling. Once this happens Muslims and spiritual nonmuslims will automatically engage in dialogue with Islamist jihadi extremists and melt their hearts with the sweetness of love. The fourteen century Islamic civil war will end and the world will sing with joy. 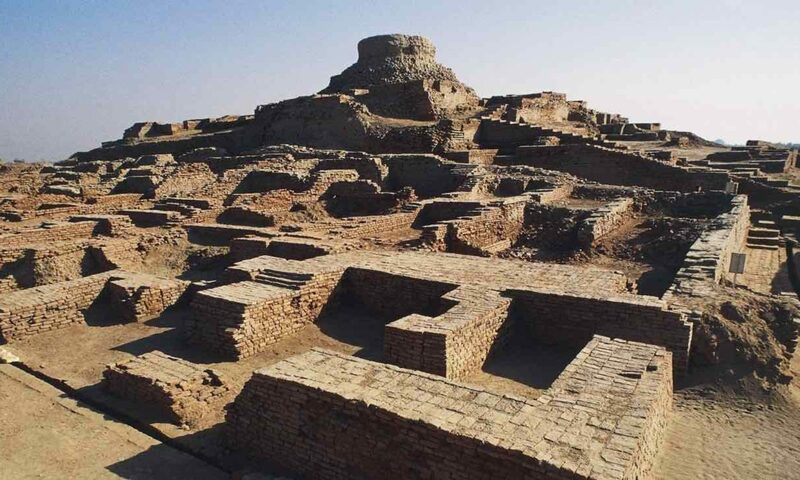 Kailasha and Soma central to Arya culture? Is the famous Mount Soma another name for Mount Narodnaya? I don’t know. Many have been trying to identify the famous Mountain Soma–which appears in so much of ancient Arya literature and is one of the most important sources of Arya culture. Mount Soma is in Uttara Kuru. Soma, also called Chandra, is synonymous with the moon. Which means that the moon, and Monday (Moon Day or Selene Day or Luna Day), are very closely connected with this mountain. The famous Chandra vamsha or Soma vamsha (or Jati of Moon and Monday) originates from Mount Soma. Long ago the seventh Manu (Vaivasvata Manu or progenitor of hominids) had a son called Ishvaku, father of the Surya Vamsha (or Jati). For tens of thousands of years hominids came from the Ishvaku dynasty, including during the time of the Ramayana. Then, based on my interpretation of the texts, tens of thousands of years later a new hominid came called Illa. Illa, another daughter of Vaivasvatu Manu, lived for many, many generations of normal humans (which suggests that she is a different species, or alien, or had some type of advanced medical technology to avoid aging, or was born multiple times the way the Dalai Lama is.) She was a great proponent and practitioner of daily gender fluidity, changing gender hundreds of times. At times she was androgynous with no gender or parts of both genders. There are many Ardhanarishvara class beings in the east. In fact the goal of spiritual practice in the eastern philosophy is to transform ourselves into an Ardhanarishvara. To be a perfect man and perfect woman at once. Eventually transcending all philosophies, all genders, all concepts, all forms and all qualities. This gender fluid Illa is the progenitor of the Chandra Vamsha. She married Budha (Mercury or Hermes or Woden [Odin]), and had a son called Pururavas. Budha is a personification of the planet Mercury and Wednesday (day of the week). In the eastern system Mercury is the de facto son of the Moon and the de jure son of Jupitor (Zeus or Thor). The legal consort of Jupitor (Brihaspati), mother of Mercury (Budha) and combination Guru/mentor/friend/lover of the Moon is Tara. Is it better to be a man or a woman? Let me posit a hypothesis for consideration and testing. 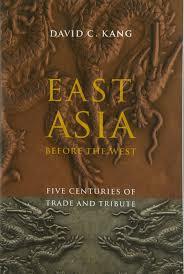 Might the Surya Vamsha be an allegorical reference to the south east Asian branch of humans from 50,000 to 75,000? 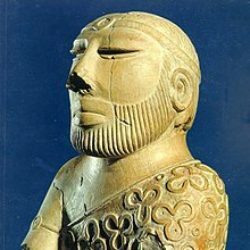 Might Chandra Vamsha be a reference to the the Iranian or Turan farmer from around 9,000 years ago? How can these hypothesis be tested? 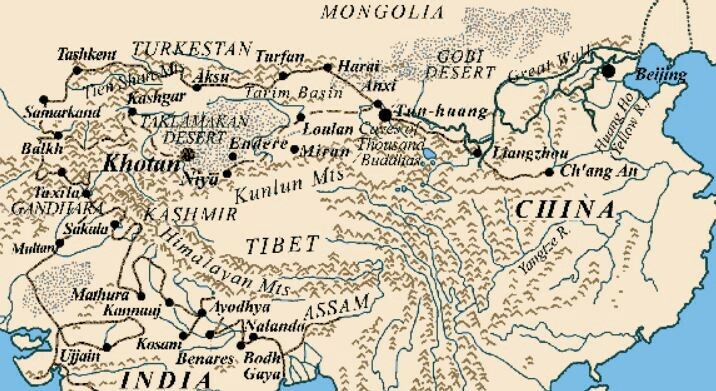 What is Mount Soma, which along with Mount Kailash is central to Eastern and Arya philosophy? 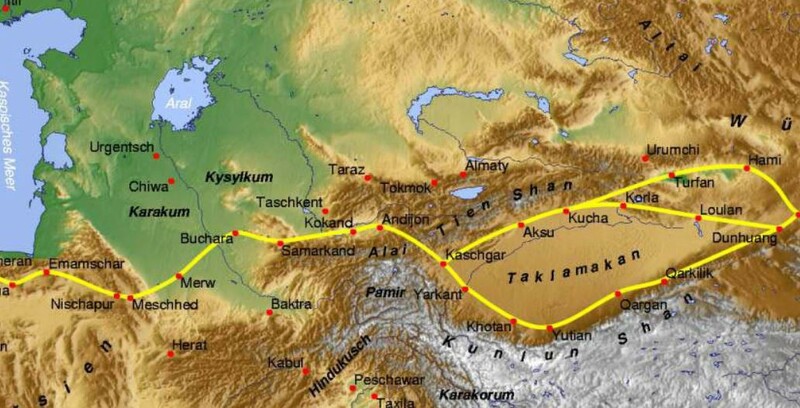 Other than Mount Narodnaya what other tall mountains west or north of South Asia could it be? Note that Sugreeva says not to go north of Mount Soma. Could this be because of the northern Polar ice cap? Are the areas north of Mount Soma a reference to Aurora Borealis? This suggests that Mount Soma is also a reference to deep personal mystical experience. Note that the eleven Rudras are a reference to Shiva. In the ancient Vedic Samhitas 33 gods are repeatedly referenced [12 Adityas + 8 Vasus + 11 Rudras + two others]. This has many layers of meaning which can only be understood through deep meditation. One layer of meaning is 33 sections of the spine. From a certain perspective the 33 Gods are when someone enters Samyama or Samadhi with respect to 33 different parts of the nervous system. This might also be linked to a common theory among neuroscientists that the human brain has 33 senses instead of 5 senses. Mount Soma is linked to Monday, the Moon, and the 8 Vasus (one of which is the moon). 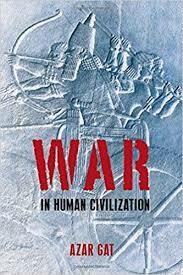 I just finished reading War! What Is It Good For? 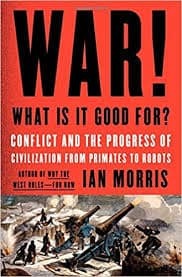 : Conflict and the Progress of Civilization from Primates to Robots where the author argues that hegemonic Leviathans are actually good for average human well-being because they maintain order and peace. In other words, a multipolar balance-of-powers situation is dangerous. Unipolarity is less dangerous. For various personal normative reasons, I’m not entirely happy with this conclusion. 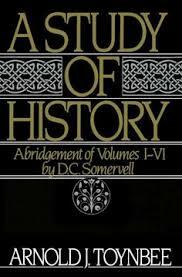 But, this book and others have convinced me that this is probably correct (for others, see The Fall of Rome). So on some level, the Claire Berlinksi thread post below reflects a lot of truth. But I think it is wrong to get overly exorcised over Donald Trump’s acceleration of American involution. The reason is that is that inevitable forces of economic determinism mean that the American unipolar world is not going to be maintained into the 21st century. In the late 1990s, with Japanese somnolescence, Russia as a supine post-superpower, and China only starting to get its footing as a capitalist nation, the vision of eternal American hegemony in our time was not a simple fantasy. It was an extension of the world that we saw around us. As a man in his 70s Donald Trump doesn’t seem to grasp that America cannot dictate as much by force of will as it could in the second half of the 20th century when he came into the fullness of manhood. But he’ll learn. And America will learn. Our society is rich and wealthy. We are powerful. Our armed forces are the sharpest and longest blades on the face of the earth. 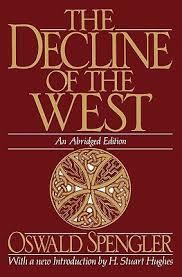 But aside from the inexorable heaving emergence of the Asian nations the United States, and the West more generally, seems to be gripped by alternating fluxes of anomie and ennui. Trump’s election is a reflection of this. * I refer here to the Napoleonic Wars and World War II. The Czarist collapse of World War I strikes me in some ways a collapse in morale and national spirit.